An amazing and hilarious story in the Chinese Legal Daily this week about how a rural migrant came to Beijing and set up a fake medical journal to publish scholarly articles for senior doctors wanting to boost their promotion prospects. The young man ran a highly successful publishing operation and made almost two million yuan ($325,000) between 2009 and 2013 when his operation was busted by police. The man called Liu Yang was only 23 years old when he came to Beijing and started working on the reception desk of a hotel in 2009. It was while he was talking to a doctor at the hotel that he hit on his money-spinning idea. The doctor was complaining about how difficult it was to get promotion because of the requirement to have a quota of articles published in medical journals. The problem, he said, was simply that there were too many doctors trying to get published and not enough journals. Liu Yang had the obvious idea of inventing a medical journal to meet that demand. Despite having only a middle school education and knowing nothing about medicine, he quit his job at the hotel and borrowed money to buy some basic publishing equipment such as a scanner and large printer. He installed this at his apartment, which would become his editorial office. However, his most important investment was 200 yuan for copies of the leading medical journals, whose style he copied. He also bought a list of top doctors and top hospitals around China. Awarding himself a doctorate and appointing himself editor and publisher, Liu Yang then wrote to the hospitals on his list and offered the services of his medical journal for publishing. He was immediately inundated with manuscripts from mid-career doctors. As a police investigator later explained to the reporter, the medical career pathway in China is based on publication of scholarly articles for advancement. Promotion from hospital resident onwards is dependent on having a list of articles that have been published in journals. No publication, no promotion. "Dr" Liu Yang received so many submissions he was rushed off his feet publishing his journals every month, and soon had to call in his wife and other family members to help out. The journals were only circulated to the doctors who had articles published in them. It was essentially vanity publishing. And yet, to maintain some credibility, Liu Yang even started to reject some manuscripts. The fake journal published articles from doctors all over China: the most frequent users were doctors seeking elevation to 'deputy director of department' level, a career step which required many published articles. At first, the fake journal was a print operation, but doctors then started asking 'Editor' Liu Yang why their articles were not being published online. The fake editor then expanded his shanzai operation online and hired a web designer to copy the website of a leading medical journal and set up a website for his own fake journal. Now Liu Yang offered digital journal publishing to his hundreds of clients. In total he published articles by more than 800 doctors, and most were senior doctors at major hospitals, including military hospitals. Most did not realise the journal was a fake operation. A few suspected things were not quite above board, but still paid Liu Yang to publish their efforts because they believed others would not notice. And for four years they didn't. As a police investigator remarked, there are hundreds of such medical articles and theses published every year and nobody is much interested in what they say - they are simply published to impress hospital administrators. And so until recently nobody was auditing these medical articles or the journals that published them. However, somebody must have eventually twigged to Liu Yang's ruse. In September 2013 police came calling at the new expanded Chaoyang offices that Liu Yang had expanded into. As cops banged on the door, his wife tried to throw plastic bags of money out of the window, whereas Liu was more interested in trying to save the raw materials for his publishing operation. 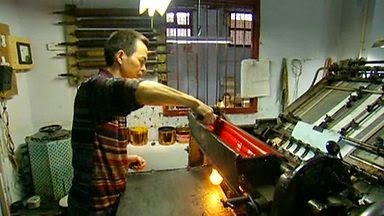 The police gained entry to the premises and shut down the publishing business, confiscating equipment and 600,000 yuan. Liu Yang and his wife were arrested by police and charged with fraud. Commenting on the case, a senior doctor at a Beijing Hospital said the fake journal saga highlighted a major fault of the medical career system in China, namely the reliance on having papers published. The doctor said there was enormous pressure on doctors to publish, because promotion offered higher income through access to prescribing a wider variety of drugs. Doctors who were good clinicians but did not publish remained stuck on the lower rung of the hospital ranking and only treated large numbers of patients. Some hospitals even fined their doctors if they did not achieve a quota of published article, he said. And the doctor said the busted operation was not the only fake journal - he still regularly received emails from dubious sources offering journal publishing services and also ghostwriting services. Liu Yang's fake publishing operation is now smashed, but the publish-for-promotion system is still intact in China. And while doctors are under enormous pressure to publish, other loopholes will be exploited, corners cut and more scams like those of Liu Yang can be expected to occur.